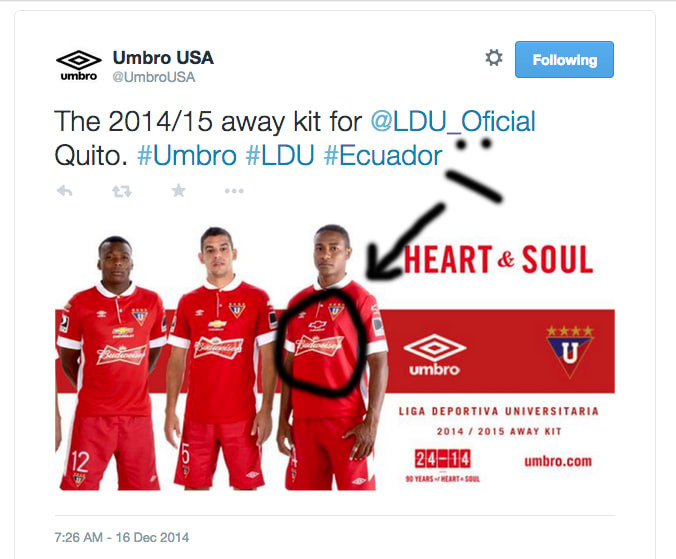 Umbro USA: the proud producer of Liga Deportiva Universitaria de Quito&apos;s 2014-2015 away kits which, in turn, are the proud sponsor of drunk drivers everywhere. Let&apos;s think: What usually happens when you combine Budweiser with Chevrolet? Give a round of applause for the sales team responsible for assembling that indelible pairing.